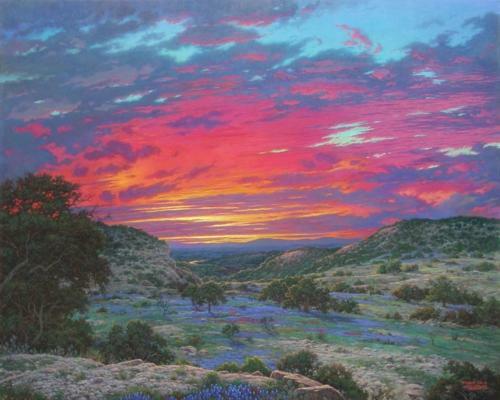 Larry Dyke 's Print Limited Edition Print " Heaven's Glory "
Click on image to view larger one. It’s spring and bluebonnet time in Texas! Larry Dyke is famous for his beautiful landscapes, and no one paints this famous Lone Star bloom as he does. The Hill Country has spectacular sunsets, and Dyke has captured this magic.